In a Wednesday battle of Top 16 Week 1 winners, reigning Euroleague champion CSKA Moscow downed Cibona 87-61 to take sole possession of the top spot in Group H. Cibona dropped to 1-1 and will share second with the winner of the night’s other Group H feature between Montepaschi Siena and Fenerbahce Ulker. Trajan Langdon drilled 4 triples on his way to a game-high 18 points for CSKA, while Ramunas Siskauskas and reserve Nikos Zisis chipped in with 14 points apiece for the winners. Three other scorers had 9 points each for the champs. After CSKA earned a 42-30 halftime lead, mainly thanks to a 19-10 advantage on the glass, Cibona worked hard to stay in the game and was only down by 7 points late in the third quarter. But the hosts finished it with a 9-0 run and the guests ran out of gas in the final 10 minutes. Alan Anderson led Cibona with 15 points, and Nikola Prkacin made CSKA frontline work hard as he scored 10 points and drew 6 fouls for the visitors from Croatia. CSKA's big men grabbed a pair of offensive rebounds on the first possession, giving Siskauskas a chance to open the scoring before he came through with a put-back the next time CSKA attacked. Bruno Sundov made a put-back of his own at the other end, but Langdon found an open Terrence Morris for a three off an inbounds play and then Morris added a long two-pointer for a 9-2 CSKA lead. After Viktor Khryapa matched Luksa Andric's layup with 2 free throws, Morris earned applause with a huge block on a driving Anderson. Zisis entered the game for CSKA and needed only seconds to hit his first shot of the night for a 13-4 advantage for the hosts. Robert Troha made Cibona's first triple, as the visitors switched to zone on defense, but CSKA moved the ball all the way to an open Matjaz Smodis in the corner and the captain hit the long shot to make it 18-9. Cibona adjusted its offense to look more and more after Prkacin, who used his strength to draw 5 fouls in the first quarter, which ended at 21-13. Lorbek started the second quarter by splitting free throws, Khryapa grabbed the rebound off his miss and Lorbek used the new opportunity to score a bucket inside. Andric made 2 free throws at the other end and Cibona tried the zone again, but Langdon, Zisis and Khryapa punished the guests with 8 quick points to expand the difference to 32-19. Though Cibona switched back to man-to-man defense after a timeout, Zisis was ready with another long two-pointer off the dribble and Langdon copied him to make it 37-19. Siskaukas capped a 10-0 surge with 2 free throws and now CSKA had more than twice as many points as Cibona at 39-19. But the visitors managed to find their rhythm again as Marin Rozic made a three-point play and Anderson stepped up with a fade-away and a triple off a screen to cut it to 40-30. Langdon dribbled all the way in for a layup to make it 42-30 at halftime. Prkacin opened the third quarter with a characteristic left hook off a Vedran Vukusic assist and then Vukusic converted a Cibona fastbreak to trim the margin to 42-34. Though Siskauskas made free throws on the other end, Prkacin kept giving CSKA head coach Ettore Messina headaches as he drew Morris's third foul and scored the free throws too. Khryapa split his free throws and fed Langdon for an open baseline jumper, and seconds later J.R. Holden found Langdon almost on the same spot, but now behind the three-point line, to make it 50-36. Anderson scored 5 straight points as he stole the ball to draw an unsportsmanlike foul and then drilled a tough triple over Langdon. But Morris and Holden answered with a basket each to keep Cibona at distance, 54-41. Cibona kept driving and attacking the basket to organize a 2-8 spurt and cut it to 56-49. Smodis used his aggressive style to earn 4 points and help CSKA stay in control. Holden stole the ball and nailed the three at the third-quarter buzzer, and the scoreboard showed 65-49. Zisis made a corner-triple for the first points of the final quarter. Anderson used a crossover dribble to beat Smodis with a jumpshot, while Siskauskas found space for a layup to make it 70-51. 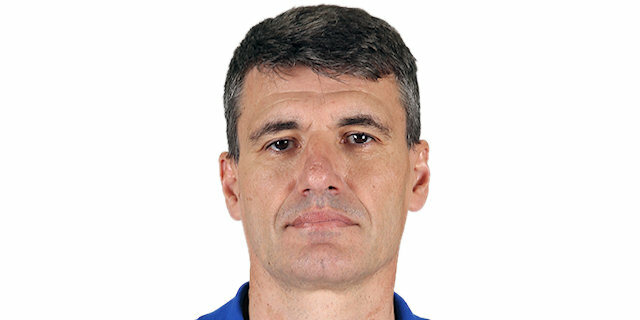 Cibona head coach Velimir Perasovic tried to turn the game around with a small lineup, but CSKA defended its advantage and with three-and-a-half minutes left, it was 74-55. Holden found Langdon for his favorite off the screen shot from behind the arc, and the Moscow crowd started celebrating the win and the lead in Group H.
"We played a good team game. Everyone who went onto the court contributed. You know that Cibona won against Montepaschi and the team has some good big men and a dangerous point guard. So we had all the respect for our opponent. We played well defensively, but what is more important is that we moved the ball well on the other side of the court. The team has improved a lot in ball movement and I think now we are close to our best at this." "We came here knowing that it is difficult to win in Moscow. And if you think like that you cannot hope to defeat one of the biggest favorites to win the Euroleague. I am disappointed with the team's attitude in the fourth quarter. When you are making a run and you find yourself down by 7, you should play more aggressive, more confident. But we stopped playing. From the other side CSKA played good defense, scored easy baskets and got the deserved win. I do not consider this loss too serious. Who can win against CSKA here? Yes, the point difference was big and if you look at our game in the second and third quarters, you cannot say that it was deserved. But if you look at the fourth quarter… We played bad defense, too lazy, with almost no help. The CSKA big men were faster than ours and created a lot of open shots for the hosts."